Are you in need of the best repairs for roofing Bournemouth has to offer? 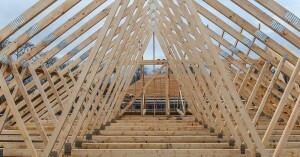 ProRoofing is the leading specialist in roof repairs and refurbishment. If you need storm damage repairs or are thinking about investing in a whole new roof, then our expert Bournemouth roofing team are the ones to call. There are many reasons you may need to invest in roof refurbishment or repair. All roofing in Bournemouth will become worn after time and may be susceptible to storm damage. Whether you need a few minor repairs or want to transform the style of your roof; no job is too big or too small for our roofing Bournemouth team. At ProRoofing we offer a comprehensive service for both domestic and commercial roof repairs and refurbishment. If you are concerned that your roof might be unsafe, do not hesitate to get in touch with our expert Bournemouth roofing team who will be happy to advise you on the best way forward. Our highly skilled team will be able to provide you with honest and impartial advice about your roof damage. If there is structural damage, we will suggest the best course of action and always try to give you a few options for roofing in Bournemouth to allow you make a well-informed decision that suits your budget. Should you decide to invest in a new roof, then ProRoofing are the right people for you. We have extensive experience in building new roofs and the knowledge to advise you on the best type of Bournemouth roofing for your property. We tailor our roofing Bournemouth service to your needs and aim to provide an affordable service that gives you a roof that is durable and aesthetically fitting to your property. Whatever style of roofing in Bournemouth you opt for, we will provide a comprehensive service that ensures you receive the highest quality of craftsmanship. Our skilled tradesmen will ensure your project is finished to perfection and we can add your chosen finishing touches such as soffits, guttering or Velux windows. We endeavour to carry out all works with as minimal disruption as possible, and will respect your property at all times; leaving it clean and tidy once we have finished our work. At ProRoofing we are able to carry out maintenance and repairs for commercial and industrial roofing in Bournemouth. We can create bespoke maintenance plans for your property to ensure your Bournemouth roofing is well looked after. Our regular visits to your site can be for both restoration and cleaning to preserve the longevity of your roofing in Bournemouth. This comprehensive service is a great way to save money on costly repairs should your roof incur unexpected damage. You have the reassurance that ProRoofing knows the condition of your roof and can react quickly to any changes or repairs that need to be made. We have a 24-hour emergency call out service should you require urgent roofing Bournemouth maintenance. Should you find your building has severe weather or flood damage; then get in touch with our team as soon as possible. 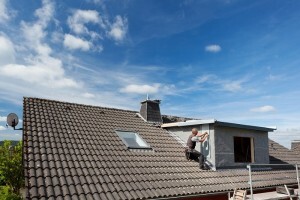 The team at ProRoofing are also available to carry out Bournemouth roofing insurance repairs. A chimney can be a great feature that adds character to your property, however, due to being the highest point of your property, they can easily fall into disrepair from the elements. Our roofing Bournemouth experts can help you maintain your chimney so that it is better equipped to withstand extreme weather. We will repair any existing damage and then provide you with expert advice on how to maintain your chimney. One of the most common issues our Bournemouth roofing team encounter is a leaking chimney. If this is the case, we can easily rectify the issue with lead work and the installation of a waterproof lining to prevent further leakage. If the damage is severe, do not worry. In some cases, the best option is for us to replace your chimney stack entirely. Our team have a wealth of experience in this and will ensure your chimney is as good as new. Our roofing Bournemouth service can fit chimney caps to prevent drafts in the home and anti-bird guards. If you have a working chimney, we can also provide a cleaning service to ensure your chimney does not incur tar build up. If you are concerned about any damage to your chimney, get in touch with our Bournemouth roofing team who will be happy to provide you with an estimate for our service. We have over 30 years of experience in the repair and refurbishment of roofing in Bournemouth. We operate under strict health and safety regulations so that you can be confident you are getting the best roofing Bournemouth has to offer. The team at ProRoofing are dedicated to providing exceptional customer service on all of our projects, and we will always complete your work to the highest standards with the best quality materials. You can rest assured that should you have any problems with your new roof, all of our work for roofing in Bournemouth comes with a 10-year guarantee. If you are unsure if we can help you with your Bournemouth roofing enquiry, get in touch with one of our team who will be happy to advise you if our services are right for you. We specialise in many different kinds of roofs including flat roofs, pitched roofs and lead roofing. We can also carry out restoration and maintenance work on heritage buildings. We are passionate about helping to preserve traditional buildings that may become susceptible to damage in their old age. If you would like more information on these services, or want a FREE quote for the work you need, get in touch with ProRoofing today for a cost-effective and reliable service. For the best roofing Bournemouth has seen, get in touch with ProRoofing today on 01202 518763 or email us at office@pro-roofing.co.uk.